While I can contain my outrage, I have to admit that the result is bizarre given the stated criteria. Kim Jong Un, the done-nothing son of the tyrant of North Korea makes the list, but not Ray Kurzweil? 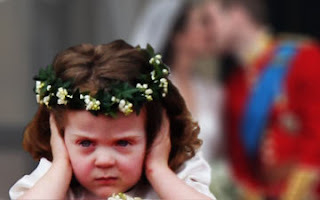 Prince William and Kate Middleton (notably counted as one person on the list) are a couple of cute kids, and I enjoyed watching their wedding, but what original or influential ideas have they had? Patti Smith but not Ray Kurzweil? Amy Poehler but not Ray Kurzweil? Lionel Messi but not Ray Kurzweil? I’m hard-pressed to explain the result. Is it that transhumanism is not after all winning, let alone won? That those of us interested in it (for or against) are in fact merely patrons of a small and not yet fashionable intellectual boutique? Or is it that transhumanist goals are so mainstream (longer! better! faster!) that the team at Time can’t see them as anything but self-evident truths? Does the truth lie somewhere in between? Or is the list just another example of the sorry results you get when you try to repackage and extend the lifetime of mortal things like once-influential news magazines?